With the passing of Charles Colson on 21 April 2012, obituaries and remembrances of him appear to fall into one of two categories. The mainstream media seems content to focus on Colson’s involvement in the Watergate scandal and his subsequent conviction, while Christian reports and blogs have offered nothing but pure praise for Colson and his post-conversion life. Until Tim Challies offered this balanced post, it seemed as though the Christian community had altogether forgotten about Colson’s detrimental contributions to the Body of Christ. Instead of acknowledging the true depth of our differences, the implicit assumption (from the start of the document until its final paragraph) is that Roman Catholics, Eastern Orthodox, Protestant Evangelicals and others all share a common faith in and a common commitment to the gospel’s essential claims. The document repeatedly employs expressions like “we [and] our fellow believers”; “As Christians, we . . .”; and “we claim the heritage of . . . Christians.” That seriously muddles the lines of demarcation between authentic biblical Christianity and various apostate traditions. 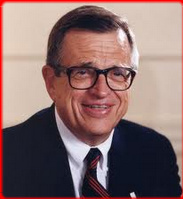 Christians ought not ignore the detrimental influence wrought by Charles Colson on American evangelicalism. To do so is akin to ignoring the call to contend for the faith once for all delivered to the saints (Jude 3). Colson’s leadership and promotion of these ecumenical endeavors undermined the precious Gospel of our Lord Jesus Christ. To acknowledge this is not to be unkind or unfair, but rather to be honest. We ought never to shirk from exposing those things which attack the Gospel of Christ. May this be a reminder to each Christian to review what his own legacy might be upon passing away from this world, and may it ever encourage us to uphold the Truth above all else. The original appears complete with a comments section for you to join the discussion right here. THE ROMAN CATHOLIC CHURCH NOW A CHRISTIAN DENOMINATION?